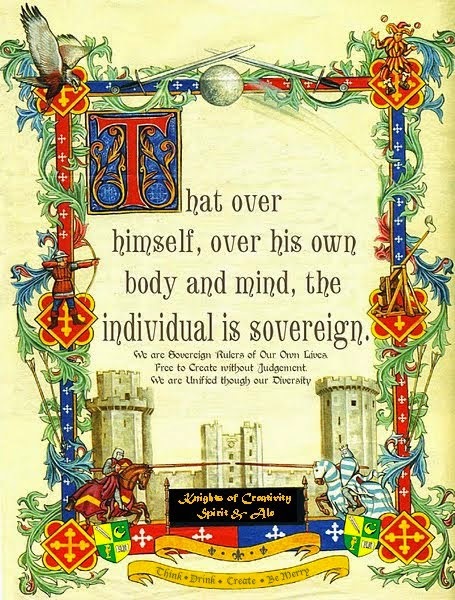 Knights of Creativity Spirit & Ale: If Life is Hard, Shouldn't We All Wear Helmets? The answer would be yes, if I really believed it. Sure, life can be hard, but just like a good laugh, it's over before you know it. So, the real question is, to quote an old cliche, "Is your glass half empty, or half full?" 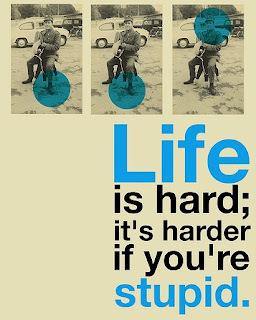 The answer to that question will determine how much you've bought into the theology of "Live Is Hard". On a lighter note, to show where a man's brain really resides, organized Hockey required the wearing of a Protective Cup as early as 1879. For those who never had the privilege of wearing said device...we in the adolescent sports world referred to them as "Ball Bras"! 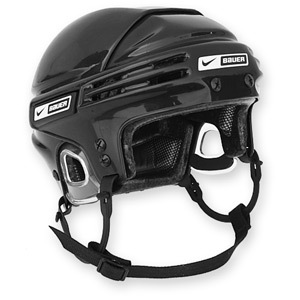 It took 100 years for Hockey to require the use of a helmet to protect the head, when the league required all new players to wear a helmet starting in 1979. At least men know their priorities! 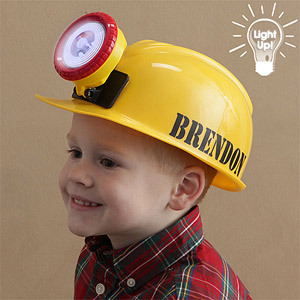 ...or put on a smile and shine a light on a brilliant idea! Maybe a future blog could be about the history of jock straps...and you could use some Jackass footage of guys not properly protecting their....family jewels? 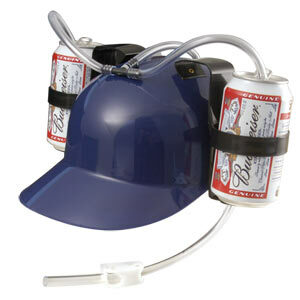 I'm also wondering who is the person who has the patent for the beer helmut....probably one of the great inventions of the 20th century that is underappreciated....except in places like Pittsburgh, Green Bay, and Cleveland. Sir Richard....who believes in a head cover when he faces that fierce sun on the tennis court in the summer. 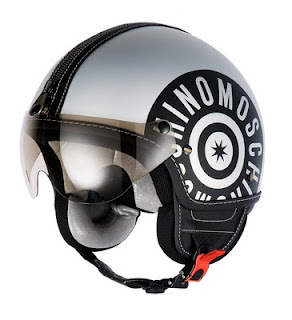 "To wear, or not to wear a helmet? That is the question." Opening like to Shakespear's lesser-known play, Helmet. heh...i was going to say...that only in sports out of the US do we have to wear helmets, but sadly Cricket batsmen have gone all wussy after centuries of not wearing them, and now have them on. This just encourages the bowlers to aim at them. We have to wear the damn things on motorbikes but forgo them in sports... all of which is the opposite in the USA. go figure. 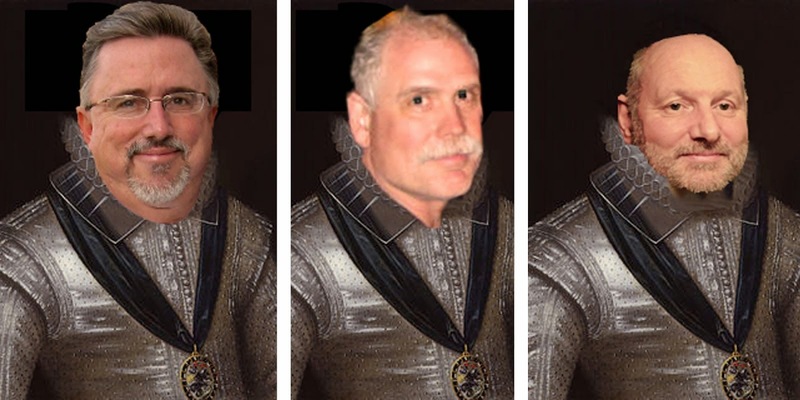 Sir D ( a head of his time ) of Oxfordshire.